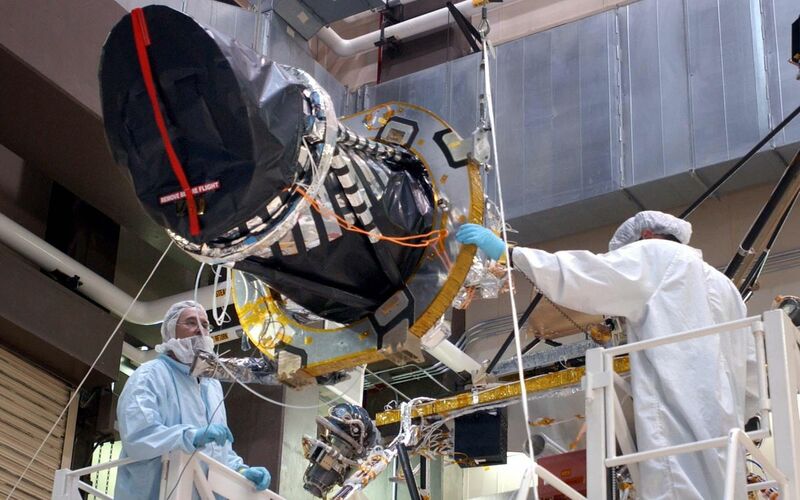 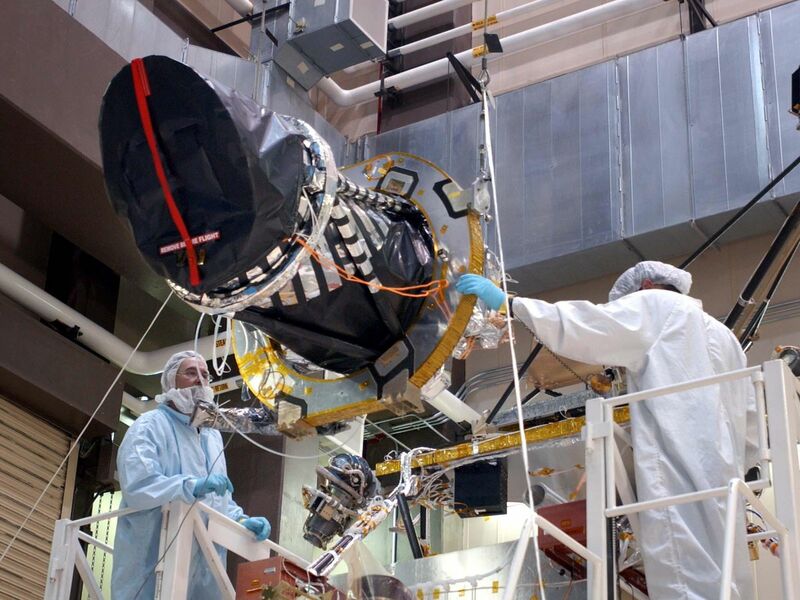 Workers at Lockheed Martin Space Systems, Denver, position a telescopic camera for installation onto NASA's Mars Reconnaissance Orbiter spacecraft on Dec. 11, 2004. 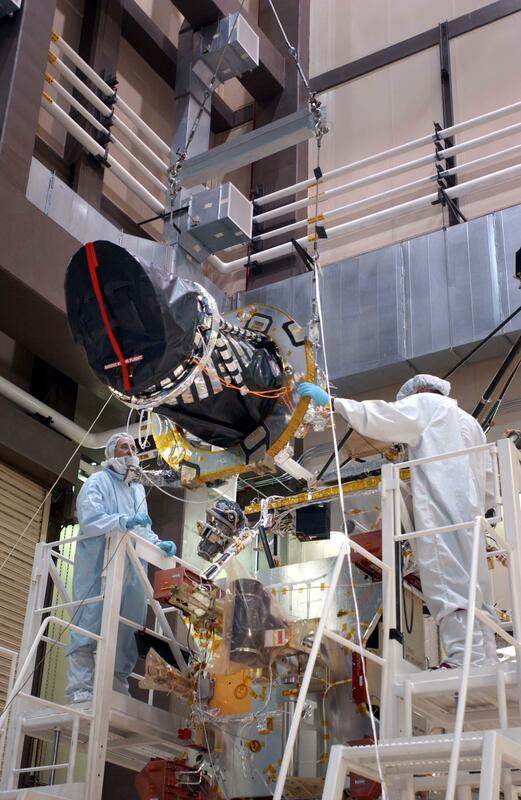 Ball Aerospace and Technology Corp., Boulder, Colo., built this camera, called the High Resolution Imaging Science Experiment, or HiRISE, for the University of Arizona, Tucson, to supply for the mission. 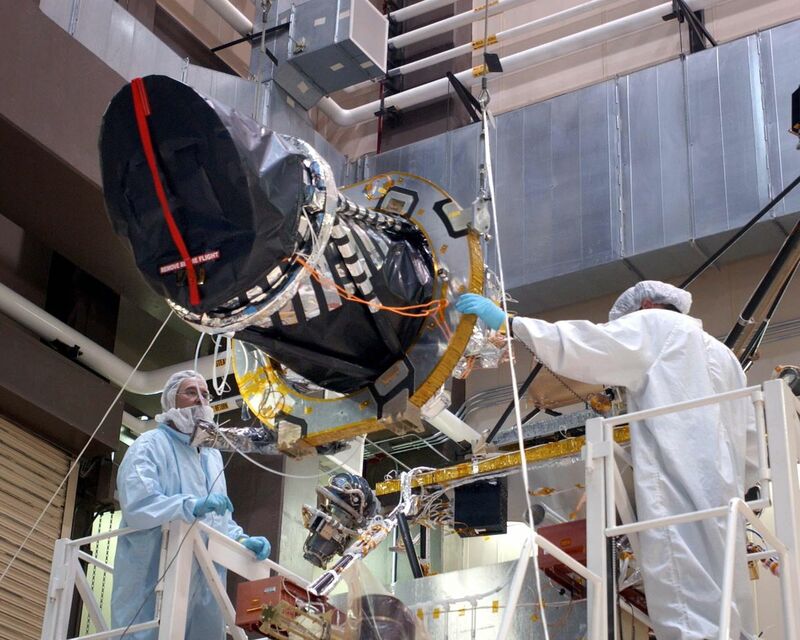 The orbiter is scheduled for launch in August 2005 carrying six science instruments.